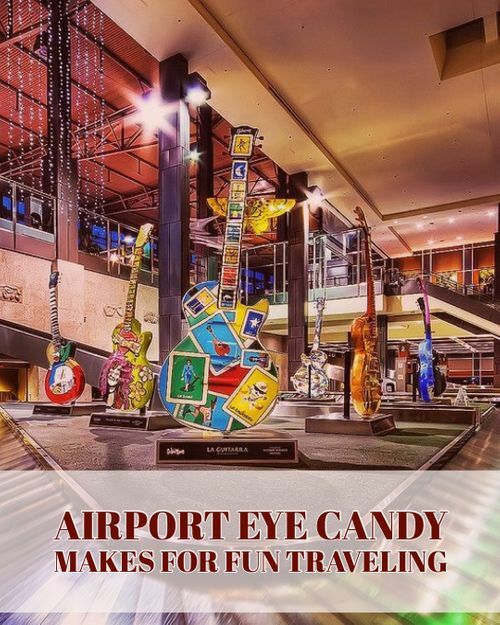 Airport Eye Candy Makes For Fun Traveling! 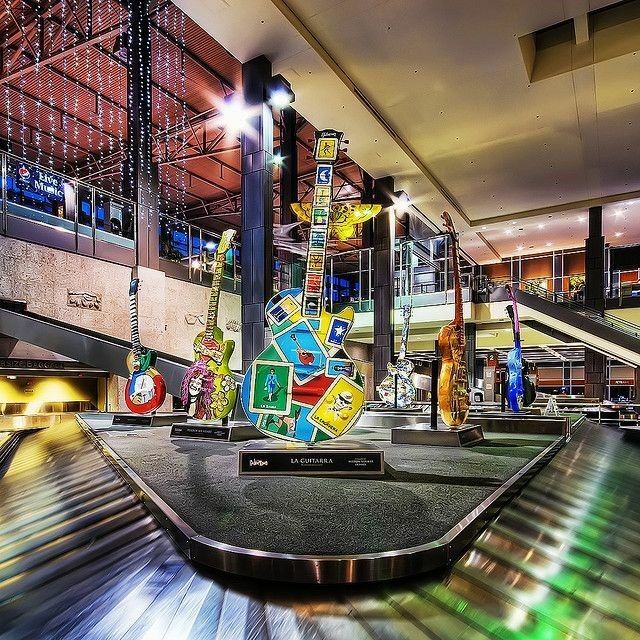 When I was a kid, on the rare occasions my parents took us on a plane, upon landing my mother would sometimes exclaim ‘What a beautiful airport!’. I would laugh in my head and wonder, who thinks an airport is beautiful? Now that I am a grown-up, an art consultant, and travel frequently with my own kids, I have a much better appreciation for the beauty of a great airport. 4. 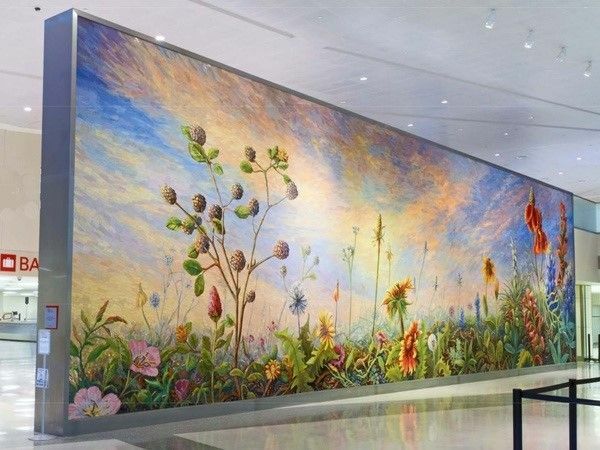 Great public art—from cool interactive pieces to awe-inspiring sculpture, mosaics, paintings, and multi-media works, great airports are an awesome place to see some of the country’s best public art! Seeing these guitars always feels like welcome home! And they do a great job of entertaining the kids while we wait for the bags. 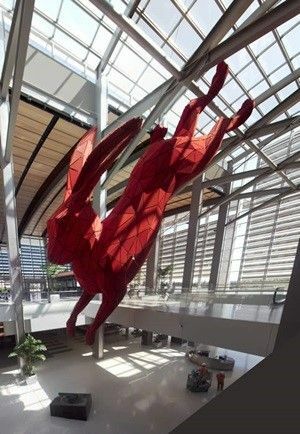 Hard not to smile when you are greeted by Lawrence Argents’ giant, leaping red rabbit! 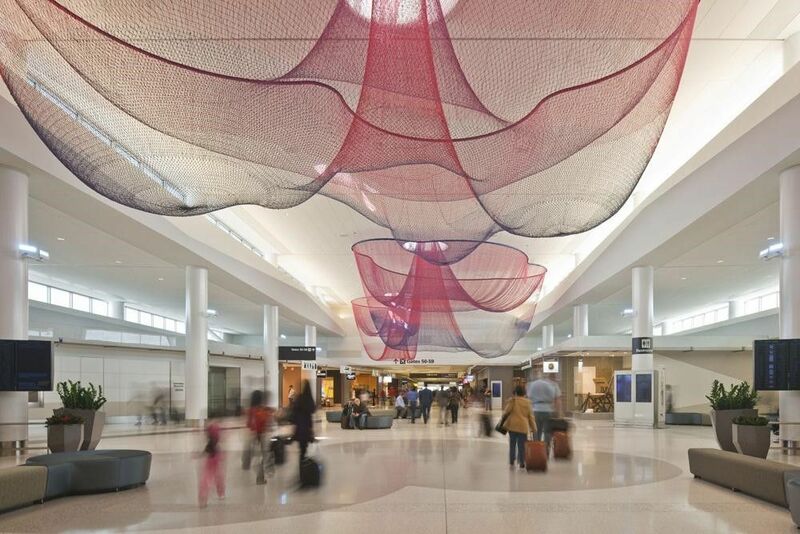 Janet Echelman does something pretty amazing with netting at SFO! 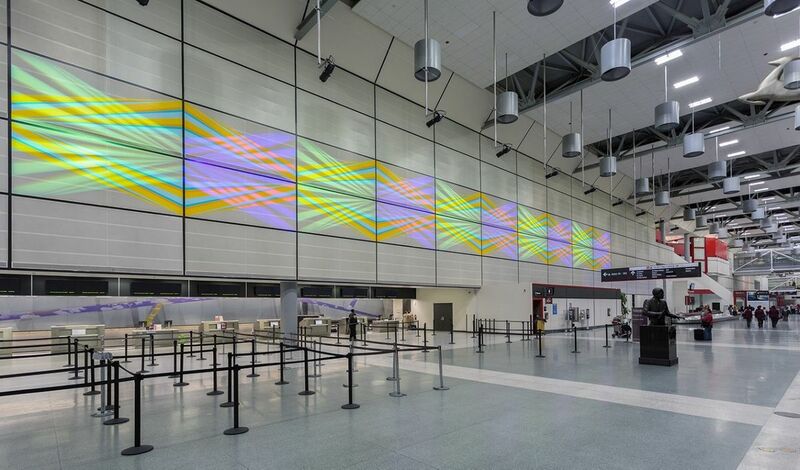 So much great public art at IAH. 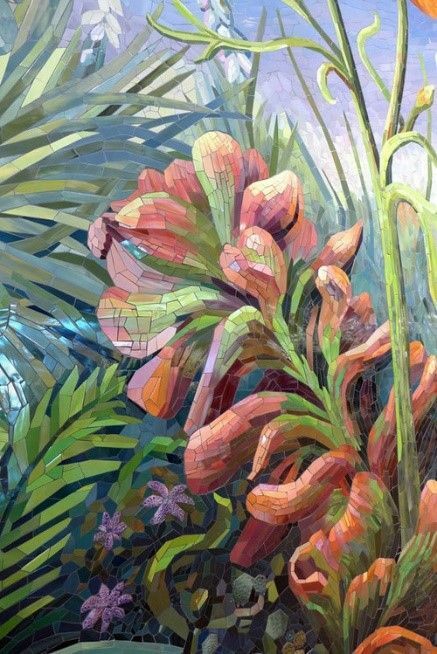 This piece by Jay Shinn really stuns! Love, Love, LOVE the Love Field Re-do. 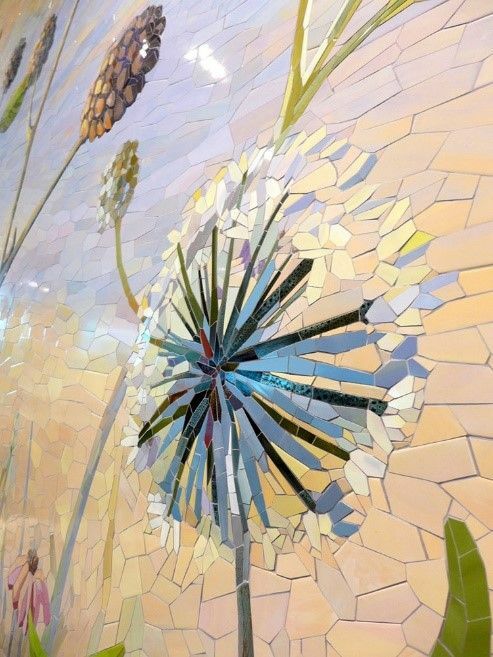 There is plenty of great public art eye candy to behold, but the incredible ‘North Texas Sunrise’ mosaic by Dixie Friend Gay just takes my breath away! 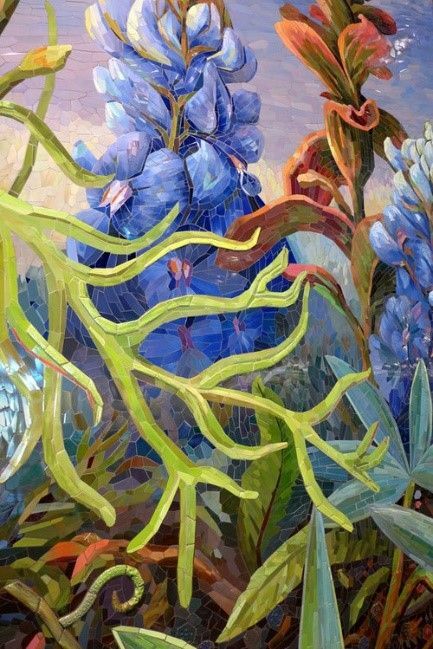 This is a mosaic, people! NOT a painting!